Pure Vida in Costa Rica!! I just returned from a week in Costa Rica and have to rave about everything. The hotels, the people, the food, the scenery, the activities. It was one of the best vacations I have been on, and truly one of the most spectacular places. I flew into the San Jose airport and then took a 3 hour transfer to Fortuna in the Arenal region. About an hour into the ride, we stopped at a small roadside restaurant and had some of the freshest ceviche ever, and some tasty chicken and rice. 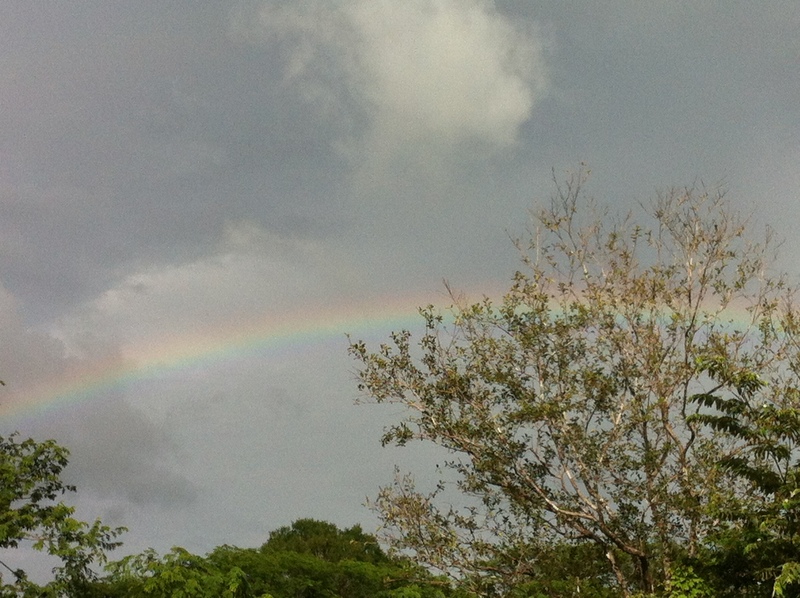 This was a great start to my Costa Rican adventure. Also a great way to break up the ride, which follows some very winding and rough roads. 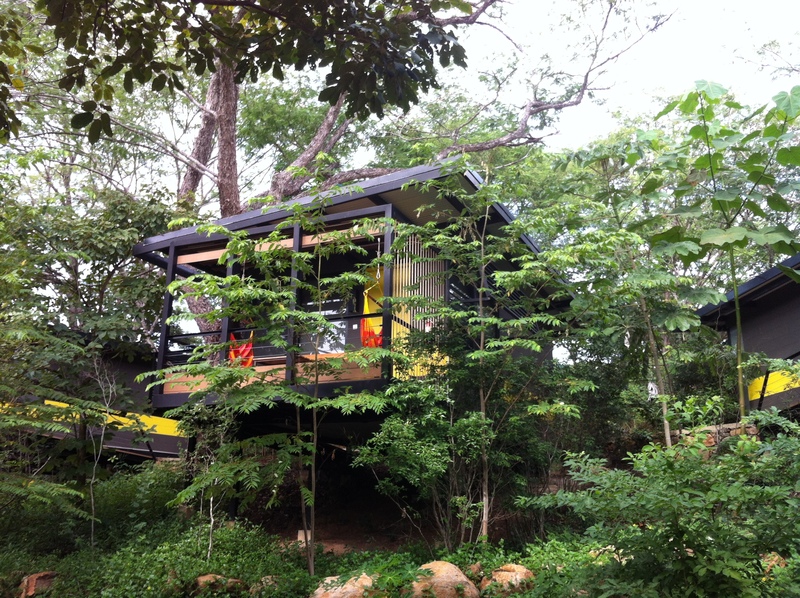 I arrived at my hotel for the next three nights- the magical Nayara Springs. This resort opened in January 2014 and quickly rose to the top of Conde Nast and Travel & Leisures hot list. The resort adjoins the Arenal Nayara hotel but is accessible only by bridge and is a resort in itself. 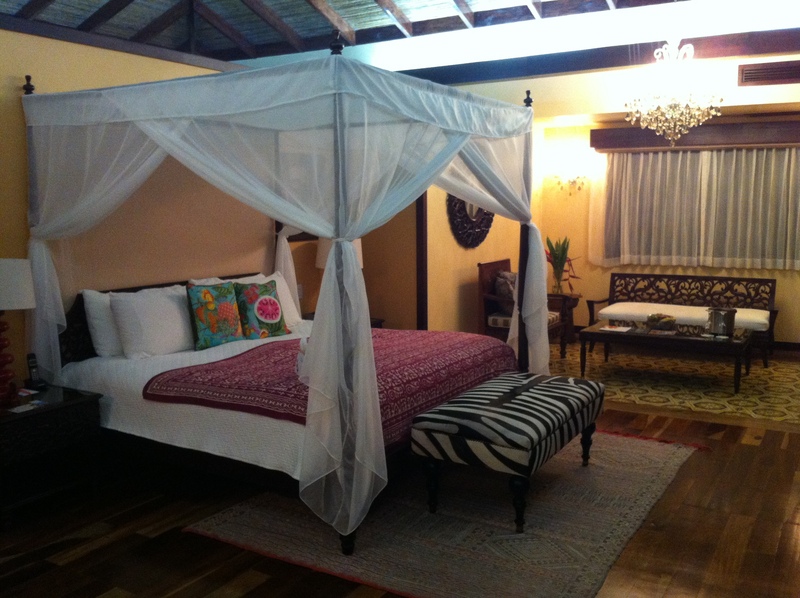 Nayara Springs is adult only and consists of 16 villas with king beds and private spring fed plunge pools. The villas are completely private and secluded. 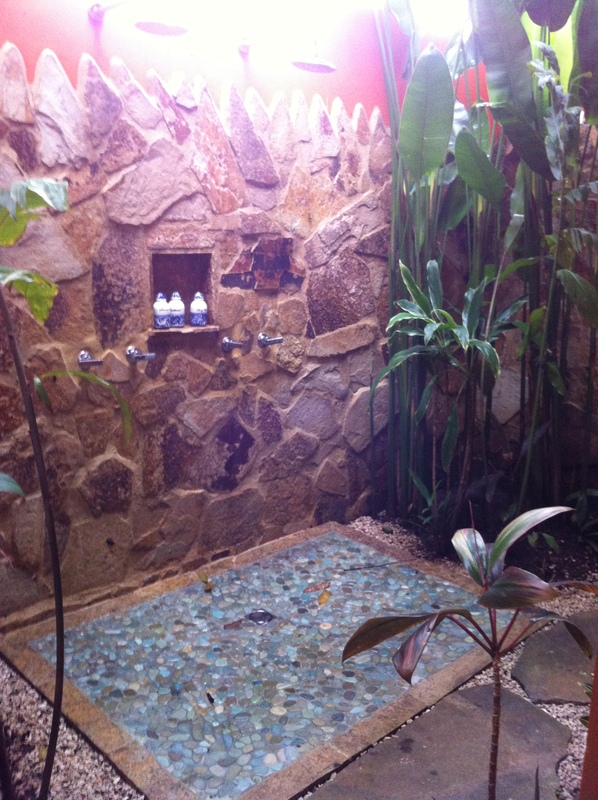 They also have an enormous bathroom and a separate outdoor shower. The hotel has the most amazing staff and impeccable service. I felt pampered the whole time. They also have great concierge services and set up all kinds of activities for us. The hotel has a fabulous spa. They have the most expansive menu I have personally ever seen and have a whole section of 30 minute mini treatments. The prices are very affordable. I am not a big fan of massages usually, but I had a neck and shoulder massage here and it absolutely was the best thing ever. Everyone else raved about their treatments too. In Nayara Springs there is one restaurant- Amor Loco- and the food is simply wonderful. You have to have them do the after dinner coffee roasting tableside. I won’t describe it because it will ruin the surprise! 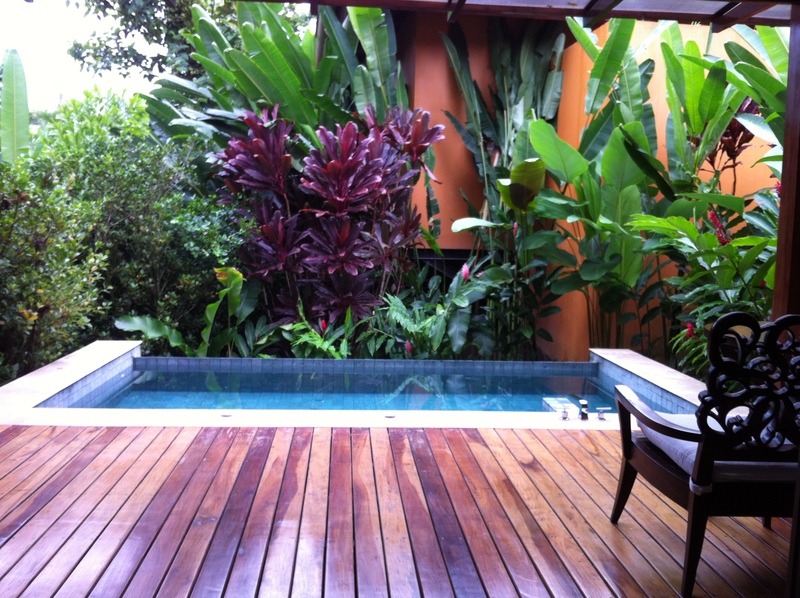 As a guest at Nayara Springs, you have access to all that is offered across the bridge in Arenal Nayara too. They have a couple more restaurants and a wine bar. Altimira has great dinner food but I particularly loved this one for their expansive breakfast buffet. Sushi Amor of course has sushi but also fabulous ceviche and a few Peruvian dishes. The wine bar has 90 bottles and you scan a card at the “machine” for either 1, 3, or 6 ounces. You can do tastings all night here! 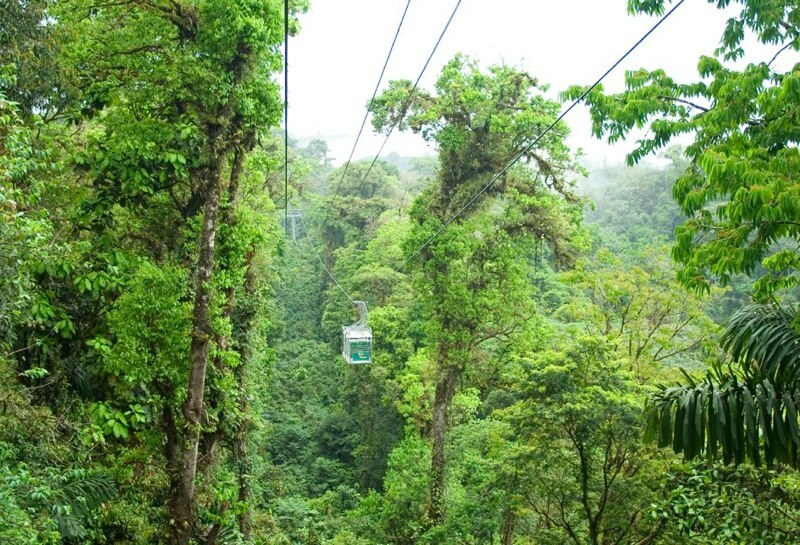 The Arenal region is very lush and green year round and just full of activities. 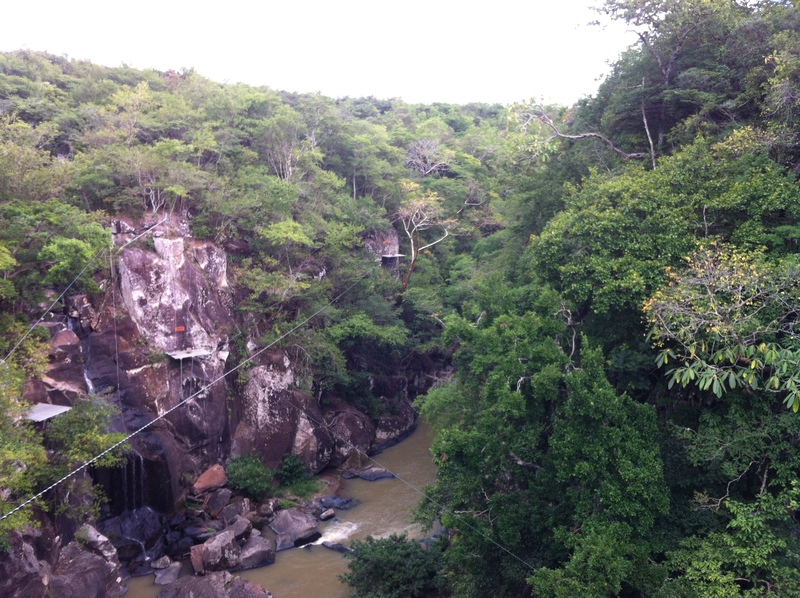 We went to Sky Trek and zip lined the highest lines in Costa Rica. A Sky Tram gondola takes you to the top of the mountain first. The tallest line is 660 feet high and the longest one is half a mile! This was a pure adrenaline rush as you reach speeds up to 45 miles per hour! 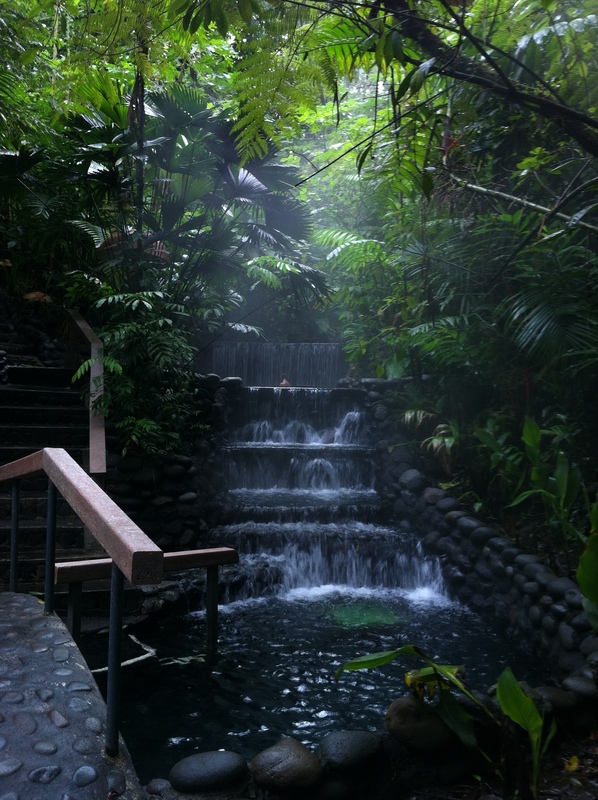 I also went to Eco Termales Hot Springs. There are 6 pools ranging in temperature from 98 to 106 degrees. Pure relaxation and soothing on tired muscles! Our next day was just as adventurous but not quite so adrenaline packed! We started our day with a 3 hour hike at Mistico Arenal Hanging Bridges Park. 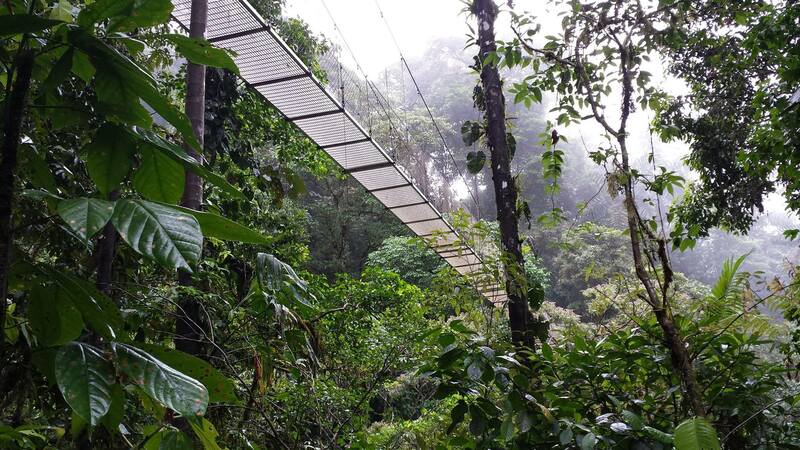 This rainforest hike leads you through the forest and takes you over 16 bridges, 6 of which are suspension bridges. They are a little shaky and pretty high so may be scary to some, but they offer amazing views. Our naturalist guide Jairo with Jacamar Tours was a wealth of information on the plants and animals we saw. The highlight for me was the spider monkeys, especially the momma with a baby on her back. Next we toured the working organic farm Arenal Vida Campesina. On just 7 acres, they have over 100 crops! We ate lunch in their restaurant that serves dishes sourced right from their farm- the ultimate farm to table. After lunch we toured and learned about coffee and processed some sugar cane. The family was so friendly and the tour was really interesting. I found out later they also do cooking classes. Wish I had gotten in on that! 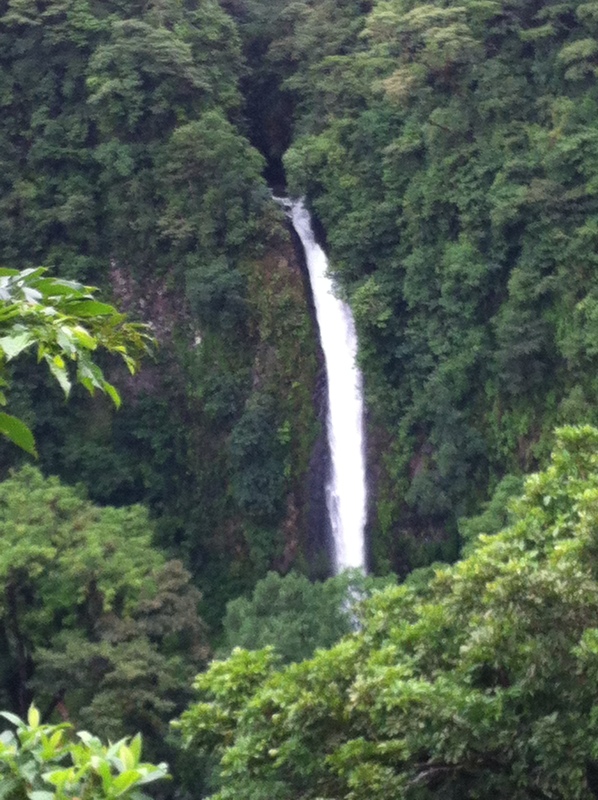 Following the farm, we went to La Fortuna waterfall. You can hike to the bottom and swim in the very cold water. After our busy day already, we opted to just look from the viewing platform! 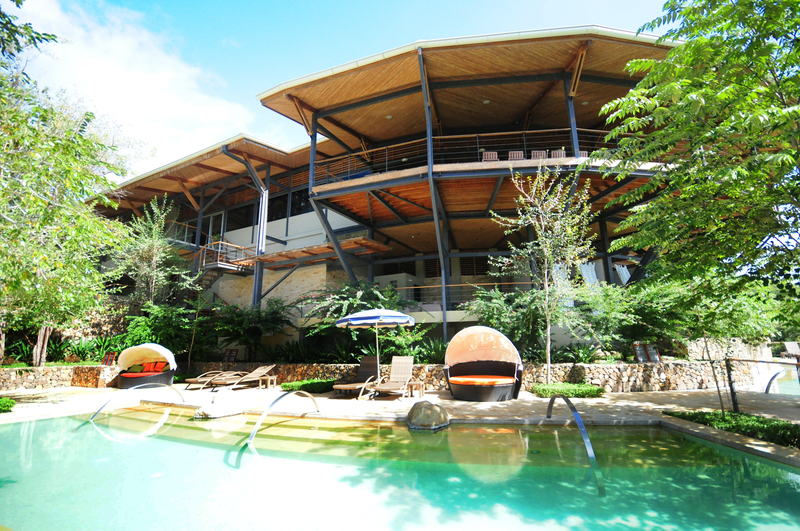 The second half of my vacation took place in Bagaces in the Guanacaste region at Rio Perdido. It is owned by the same people as Nayara Springs, but so very different. I can only describe this as adventure camp with luxury touches. My room was very unique. It was raised and boxy, almost like a tree house. It was very minimalist in design but extremely functional and well thought out. 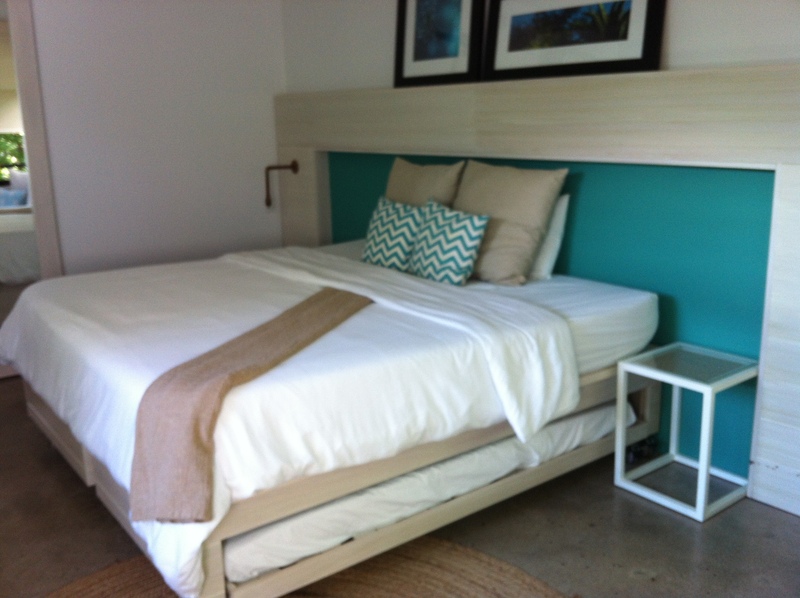 The king bed can be split into two twins and there is a third twin trundle bed underneath. Very smart. 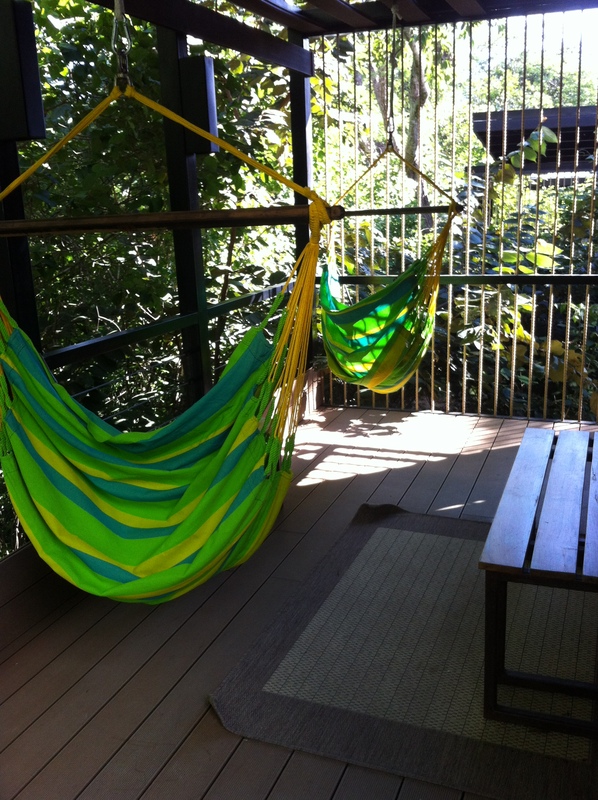 I loved the porch with hammocks- great place to listen to the river or the howler monkeys! While I enjoyed the rooms, the focus here is on activity. The property boasts bike trails, hiking, 3 pools, a spa, river tubing, hot springs, a little thing they call Aerial Canyon Adventure. 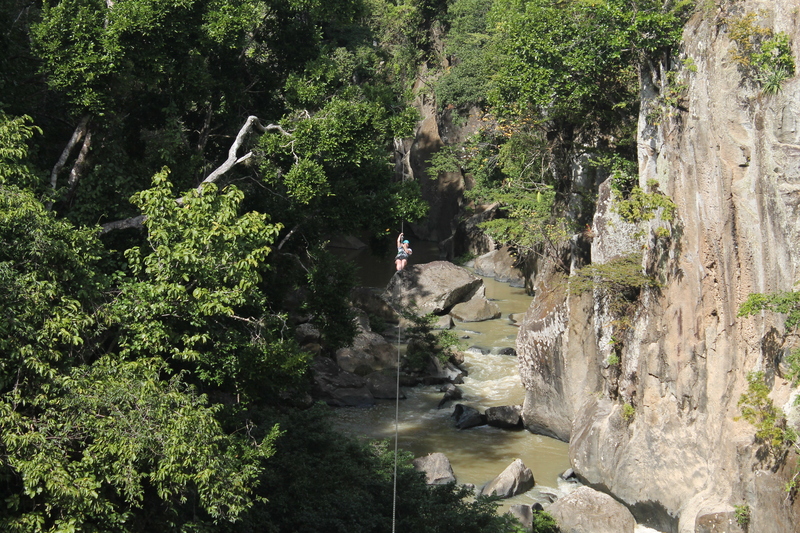 It is a series of 5 zip lines, via ferrata climbs, a tarzan swing, and a wobbly bridge. It was absolutely amazing! The guides even take pictures the whole time and offer you a disc for only $25! I did not get to do the river tubing because the water was too high from rain earlier in the week. I did go to their hot springs. They have buckets of volcanic mud that you paint yourself with. You leave it one for 10-15 minutes to dry and then rinse it off. It is supposed to detox your body. All I know is I felt silky smooth afterwards! I was too busy to make it to the spa but my friend said her massage was simply the best and that they worked on areas she did not know she had. Right now they have one restaurant and a pool bar. The restaurant is a large open air structure with amazing views. The menu has a lot of options but they are working on new selections too. I enjoyed everything I ate, but especially the nachos that use yam chips instead of tortilla chips. And I must have had a half dozen of their special welcome fruit drink. So fresh! This property changed general managers a month ago and he is basically overhauling everything. There are so many changes coming soon. It will be like a whole new property in 6-12 months. They have plans to finish paving the entrance road, expanding or building a new spa, adding a rock climbing area, building a very large tarzan swing in another canyon, new menus and more options, reducing paper throughout the property, starting an organic garden, adding locally made bath products, improving service, and adding another 20 rooms for a total of 40 just to name a few. I am very excited about their changes and can not wait to return!